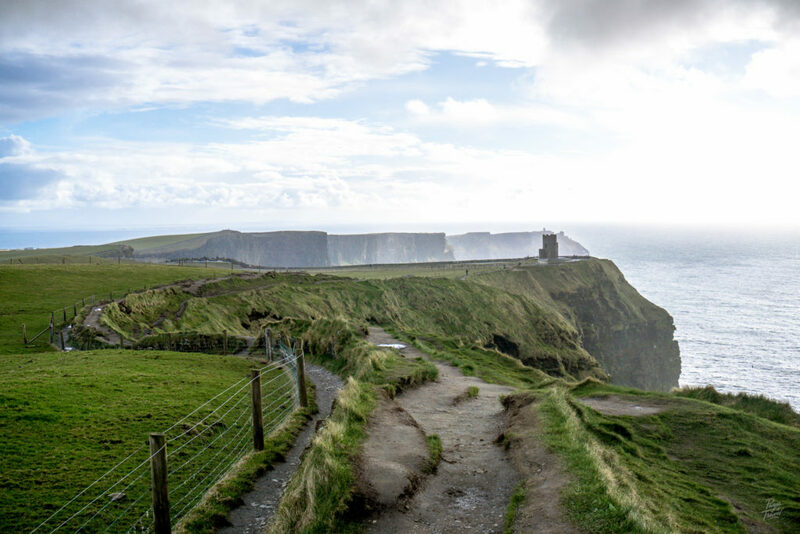 When traveling to Ireland many people have quite a few items on their bucket list and visiting the Cliffs of Moher is usually always one of them. 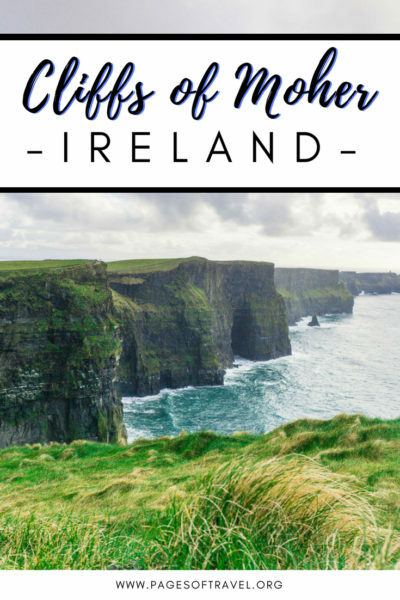 After making our way around the country, we thought that a Cliffs of Moher hike would feel similar to other cliffside areas we hiked at but were immediately shocked to find that they are more than what we originally imagined. Picture this, you’re standing on what feels like the edge of the world with the wind slightly stinging your face. All around you are sharp cliffs that plummet down to the chilling Atlantic Ocean and stand over 700ft tall in some parts. You’re just a dot on the cliffs to those around you. 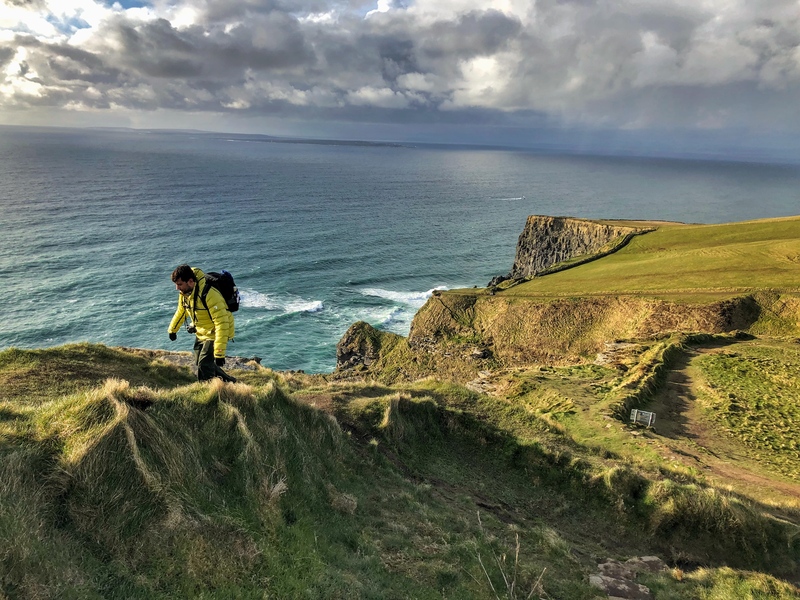 This is what it feels like to embark on a Cliffs of Moher hike and it will simply take your breath away. The Cliffs of Moher are located on the west coast of Ireland in County Clare. The nearest big city being Galway which is approximately 1 hour and 30 minutes away; though many choose to do a Cliffs of Moher tour from Dublin which is approximately three hours away. Though there are a few hotels in the area we opted to stay in a cozy Airbnb that is walking distance from the Cliffs of Moher. 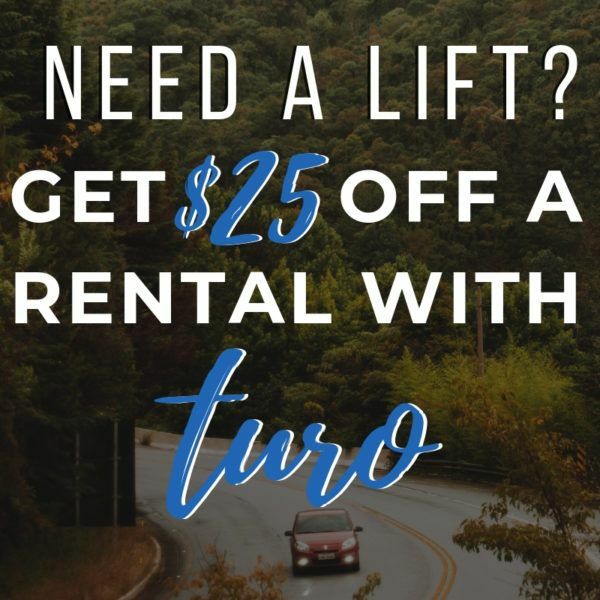 A rental car was our preferred mode of transportation while visiting Ireland and also the quickest and easiest way to visit the Cliffs of Moher on your own schedule. If choosing to utilize a rental car for your Cliffs of Moher visit, you will need to park at the visitor center. The visitor center is located at Lislorkan North, Liscannor, Co. Clare, Ireland. Upon arriving at the visitor center you will pay for your entrance and park. After parking, you can tour the visitor center to learn more about the history of the Cliffs of Moher. Public restrooms are also available at the visitor center. Being one of the top destinations to visit in Ireland, there are many different tours you can take from surrounding cities on a tour bus or private coach. Most of these tours run €40-€60 depending on the departing city. One of the most popular tours is a Cliffs of Moher tour from Dublin but there are also tours that depart from Galway. It is important to keep in mind that these prices may only be for transportation and visiting the Cliffs of Moher. 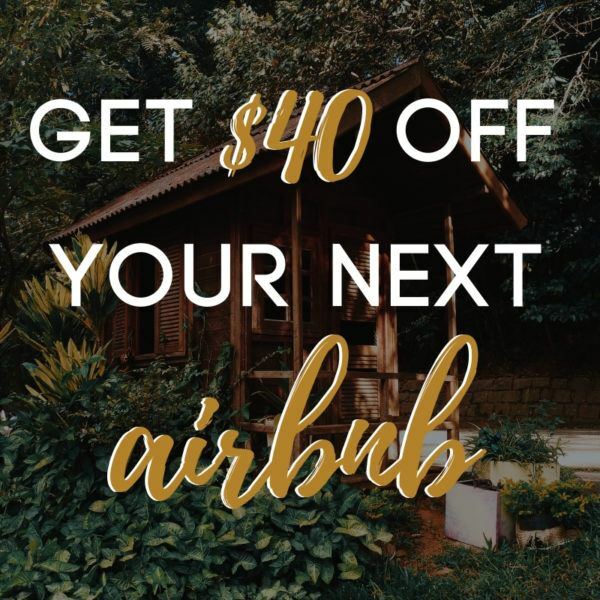 However, there are other more inclusive tours that you can also purchase to visit other spots in Ireland such as the Aran Islands, Wild Atlantic Way, Connemara National Park and more. We had planned to walk to the Cliffs of Moher from our Airbnb but when we arrived it was raining heavily so we decided to drive and wait out the rain. However, there are many different entry points to the Cliffs of Moher that you can access on foot without going to the visitor center. 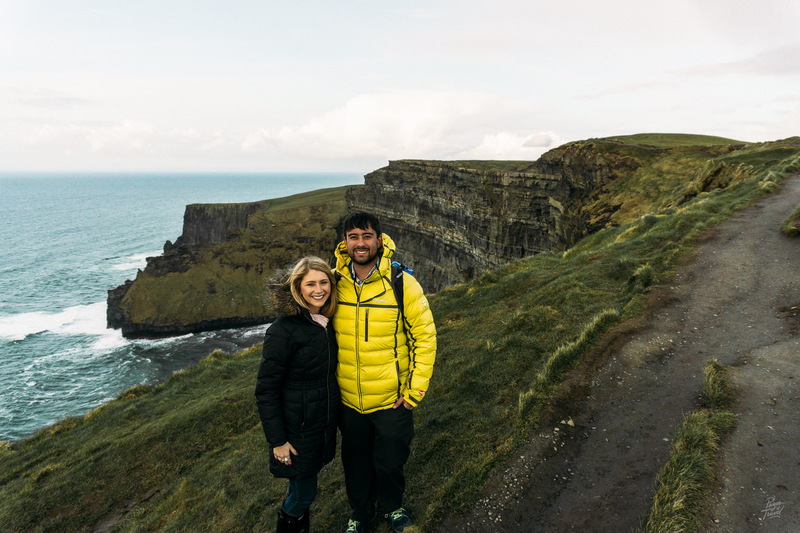 Regardless of how you plan to visit the Cliffs of Moher, we recommend allowing yourself 2-5 hours depending on how far you plan to hike. It takes most visitors about five hours to walk the entire 14km. When visiting the Cliffs of Moher it’s important to have proper footwear and weather specific gear. When we visited in late March it was quite chilly, windy, and at times rainy on the cliffs. 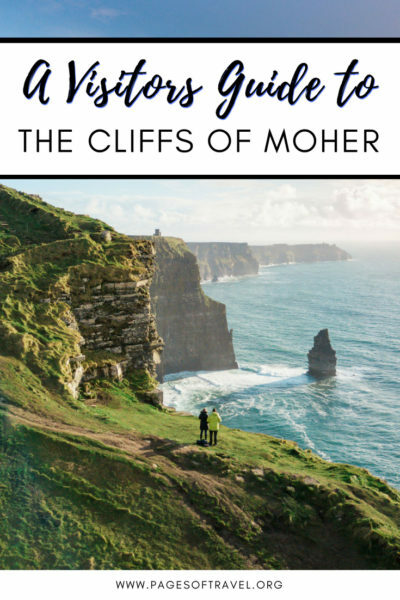 Sturdy, Weatherproof Shoes: Hiking boots, hiking shoes, or even rainboots with a good non-skid sole are perfect for the Cliffs of Moher. Your shoes WILL get dirty and there are many spots on the cliffs that are slick due to the mud. Wool Socks: Wool socks will help keep your feet warm and dry and also prevent blisters from forming while hiking on the cliffs. Comfortable Pants: I personally wore a pair of warm leggings and Logan wore some hiking pants. Each of these had quick dry fabric in case of rainy conditions and also allow you to hike or walk more comfortably. Layers on Top! As I said, during the time we visited the Cliffs of Moher the weather was very cold and windy. We each had on a long sleeve shirt and thick, down-filled coat to keep us warm. Scarf, Hat, Gloves: You may not wear these items the entire time, but they were very useful as the weather started getting cooler in the evening time and when the wind picked up. 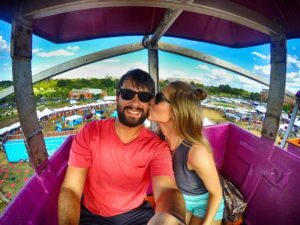 Sunglasses: If you arrive at sunset or sunrise the sun can be incredibly blinding, we recommend wearing sunglasses to have better clarity and to protect your eyes from debris that often flies around due to the wind. Water Bottle/Snacks: If you are planning to hike/walk the Cliffs of Moher for a few hours, which is easy to do, you will definitely want to bring water to keep you hydrated as well as a snack. We brought along a few protein bars on our hike! Backpack: Having a backpack to keep any extra layers, snacks, water, or even your camera is a must if you plan on spending a lot of time at the Cliffs of Moher. The Cliffs vary in height from 390 feet to 702 feet at the highest point so it only makes sense to feel a bit uneasy when walking on the cliffs! If you arrive from the visitor center you will notice immediately that there is a large area where you can look at the Cliffs behind the safety of a concrete wall and walk along a concrete path. If you follow the trail you will eventually get to a part that has a warning sign telling visitors that the next part of the cliffs isn’t as secure and to be careful when walking. I personally am terrified of heights when it comes to “unsecured places” meaning that on a rollercoaster I’ll do just fine on, but the Cliffs of Moher… ehhh I struggled a little at first. But, there are some paths on the unpaved trail that are farther away from the cliffside if you prefer to walk there first. Eventually, after walking a short distance I was able to ease my way onto one of the cliffside trails. In the photo above, you will see on the left side there is a trail that is set deeper into the ground and farther away from the cliffside edge. In the middle of the photo is another path that is up a bit higher, and not pictured is a path that is much closer to the edge of the cliffs. 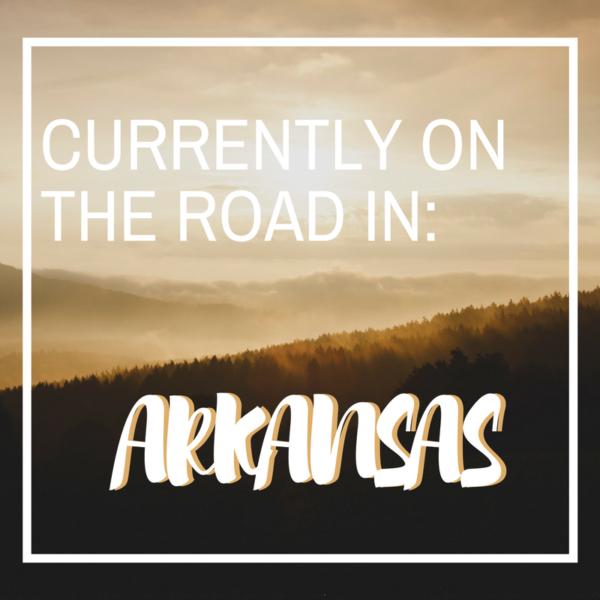 You might be tempted to skip this part of our post, but please keep reading! If you find yourself wondering “am I too close to the edge?” Then you probably are. While we were there we saw people who were standing RIGHT on the edge of the cliffs with friends taking photos as they pretended to fall off. 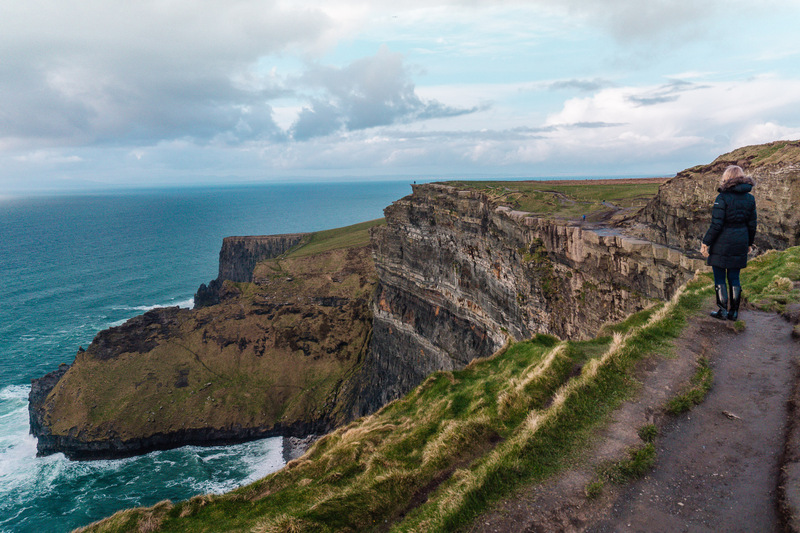 Keep in mind that the Cliffs of Moher are notorious for rockslides, which are unpredictable. Not to mention, you could easily lose your footing due to the gusty winds. No matter how “cool” it looks, we do not recommend getting to close to the edge. The entry fee for the Cliffs of Moher is €6/person which includes parking your car at the visitor center. If you want to visit O’Brien’s Tower as well it is an additional €2/person. The busiest times to visit the Cliffs of Moher are between the hours of 11:00am and 4:00pm and especially in the months of June-August as it is the warmest time to visit. If you would like to beat the crowds, we recommend visiting the Cliffs of Moher at sunrise or sunset – plus the view is even more beautiful at this time of day and the colors in the sky change by the minute! We visited in March around 6:00pm and had hardly any traffic on the trails. 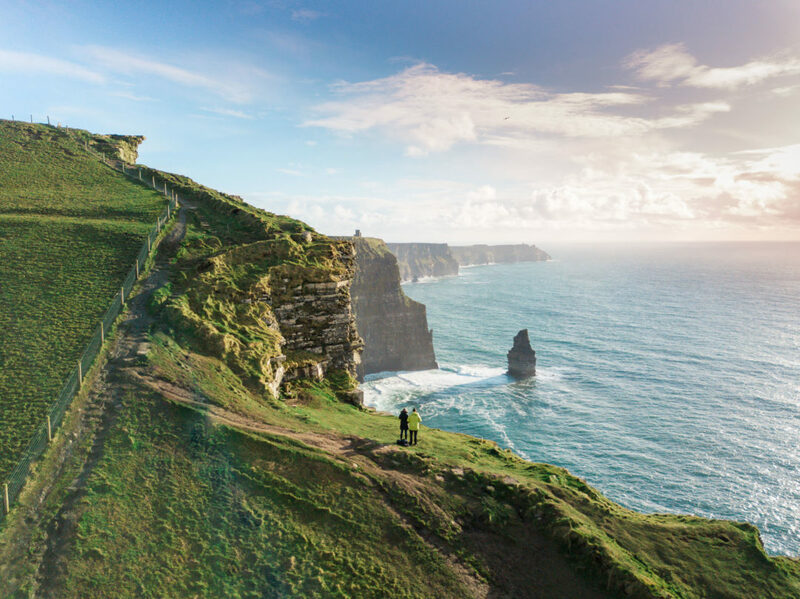 Keep in mind that this is one of the most popular attractions in Ireland, that gathers over 1 million annual visitors, but ALSO that the cliffs stretch over a five-mile span which makes it easy for you to spread out from other guests. Have you visited The Cliffs of Moher? Like what you see? Click and save for later!